My guide’s disbelief did not make me feel any better. 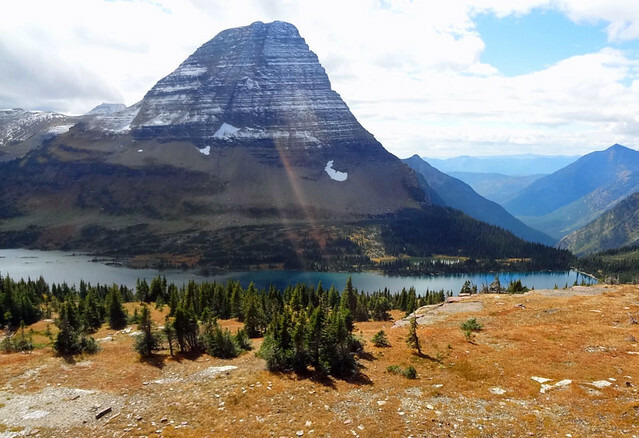 We were hiking the Hidden Lake Trail in Glacier National Park, and I was on the hunt for mountain goats. Goats were the last major mammal I had never seen in the wild, and since this trail is one of the best places in America to see them, I was super excited. The sights on the hike were stunning. Majestic, snow-dusted peaks rose on three sides. Wildflowers dotted the open meadows. It was one of the most beautiful treks I had ever taken. But mountain goats were nowhere to be found. That was two years ago. In the time since, I still hadn’t seen a mountain goat. So this summer, when the Can-Am Road Trip took me through Montana, I knew a return visit to Glacier was in order. I was going back to Hidden Lake, and I wasn’t leaving until I saw mountain goats. Even if I had to stay there all day. 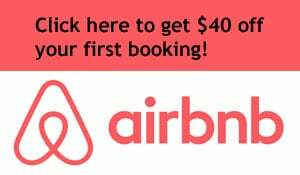 Or all week. It was time for Mission: Mountain Goat. I’d love to build up the drama and say that it took many days of trying to stalk the mountain goats, that I had to overcome bad weather and all sorts of other hurdles before I finally had success. But that would be fiction. In truth, it was easy this time. After beginning the hike and getting past the initial wooden boardwalk path, I saw a large group of bighorn sheep hanging out in the grass. This was a cool experience. I stopped and watched them for about 15 minutes. Then, I looked further up the trail, and there it was: A small mountain goat walking on the rocks right near the trail. My first glimpse of a goat! Just like that, Mission: Mountain Goat was a success. 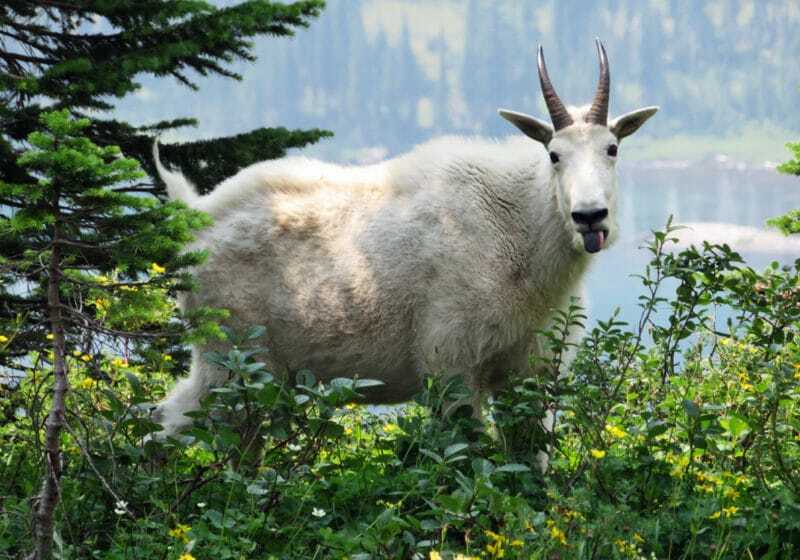 One bright white Instagrammable mountain goat in Glacier National Park, just as I had ordered! But I certainly wasn’t going to stop there. 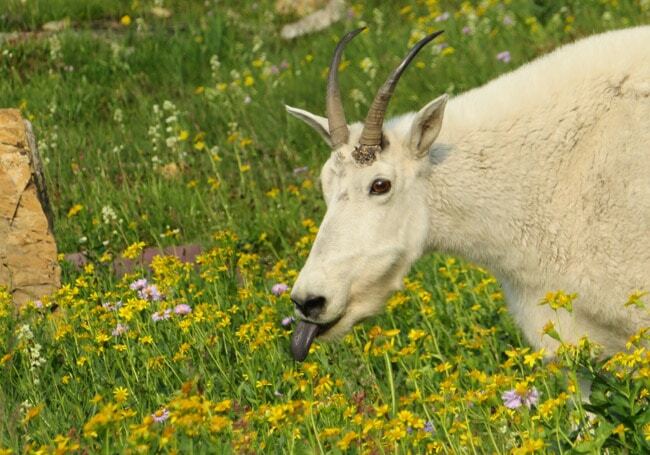 The mountain goats at Glacier are funny because they’re used to people. So they often walk on the trail as humans stroll past less than five feet away. That’s why Hidden Lake is such a special place. You can see goats on high-elevation cliffs in various mountainous regions of the western U.S., but it’s rare to be able to share a path with them and get close enough to see the wrinkles in their face. Obligatory disclaimer: Mountain goats are wild animals with sharp horns and they can do serious damage to visitors who don’t give them space. This first goat strolled closer to me, so I stayed put while furiously photographing the animal. You don’t want to see the photo folders on my laptop right now – I took nearly a thousand goat photos because I was so excited in the moment. The goat moseyed down the trail, then crossed it and snacked on grass on the other side. Seeing goats was far more important to me than the actual hike, so I kept watching. After maybe 15 minutes, he crept into a small wooded area and went over the hill out of sight. I would have been happy if the day had ended right there. But that was only the beginning. As I continued the hike down to Hidden Lake and then returned a couple hours later, I saw roughly 10 goats up close along the trail and another 10 on a distant hillside. Twenty mountain goats in one day! Mission: Mountain Goat was a rousing success in every way possible. 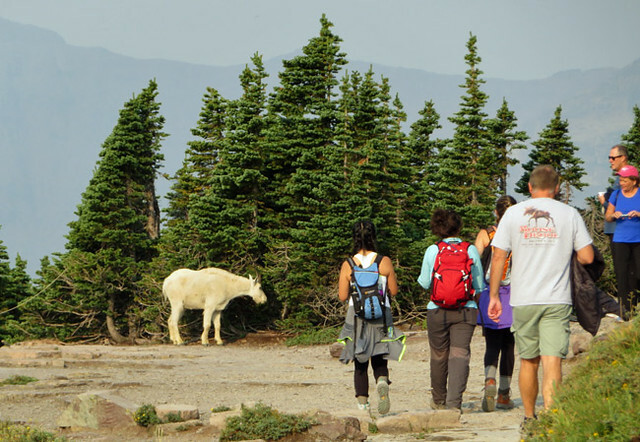 How can you see mountain goats in Glacier? Hike the Hidden Lake Trail. That’s really it. Obviously, my experience two years ago proves that goats aren’t always here, but usually there will be a few hanging around. Beyond that, just make sure you’re looking closely in the small wooded areas. I stood on the part of the trail near the woods for several minutes observing a couple of goats lying down among the trees. I can’t tell you how many tourists walked right past without realizing there were goats in there, because they just weren’t looking for them. Also keep an eye out on any snow patches on the hillsides. Goats love the cold and they easily blend in if you’re not looking closely. Make sure you continue beyond the Hidden Lake Overlook. The overlook is a famous spot with great views of the lake, and a lot of visitors stop there and turn around. Goats are often seen in the meadows along the stretch of trail just beyond the overlook. Walk for at least a mile past the overlook to give yourself the best chance to see mountain goats. Goat-seekers have one other good option: Goat Lick Overlook way down on the southern edge of the park. But it’s really out of the way, and it’s less reliable. I’ve been there twice (summer and fall) and saw no goats. The signage indicates that June and July are good times to see them in this location. I took several hundred photos, so I might as well share some of the best, right? These mountain goats were all seen at various points on the Hidden Lake Trail hike. I love this first image because he’s sticking his tongue out at me.